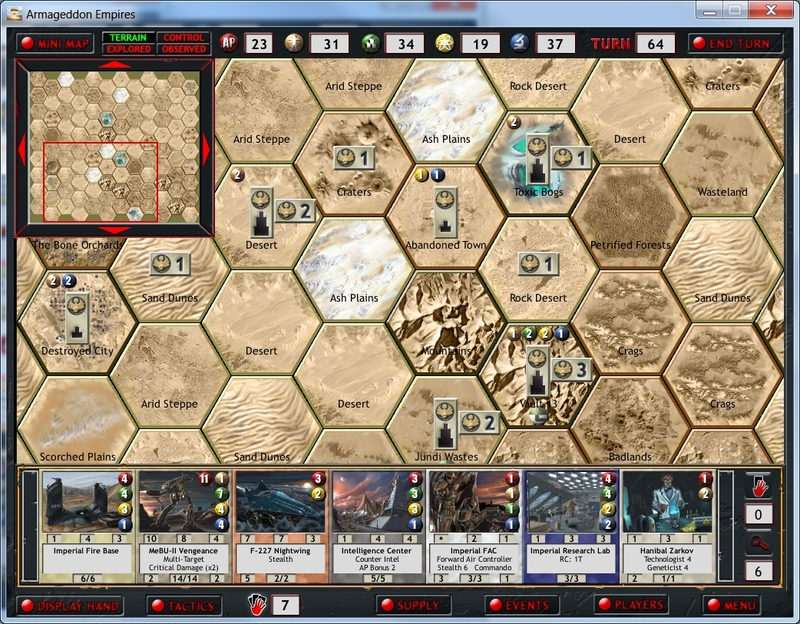 The main map of Armageddon Empires. My hand of cards is visible at the bottom. Heads up — Armageddon Empires (together with several other games) is $1 at Humble Bundle for another four days. AE is a 4X post-apocalyptic turn-based strategy game, overlaid with a CCG. Before each match, players choose units, heroes, and buildings for their deck, and the cards on hand determine what can be built on any given turn. I described AE as something that “every strategy aficionado, and certainly every strategy designer, should play” – it’s unique, quick to play, and marvellously evocative of pulp science fiction. At this price, there’s no better chance!